We tell you how the FCC is pushing businesses to move from analog to digital radios. We also review the Vertex Standard VH-150B Over the Head VOX Headset with Microphone. we discuss how the FCC has begun to push businesses into moving from analog to digital radios. We'll review the Commission's mandates, talk about the requirements currently in place and speculate on where this is all headed. We review the Vertex Standard VH-150B Over the Head VOX Headset with Microphone. © 2015 Cricket Ventures, LLC. All rights reserved. This entry was posted in Two Way Radio Show Podcast on September 4, 2015 by Rick. We tell you about the new DLR series of digital business two way radios from Motorola. We also review the XLT SE110 Surveillance Earpiece with PTT Microphone. We talk about the new Motorola DLR1020 and DLR1060 Digital Two Way Radios. We'll give you an overview of their features and specifications and compare them to the ever popular analog Motorola CLS1110 and CLS1410 radios. We review the XLT SE110 Surveillance Earpiece with PTT Microphone. This entry was posted in Two Way Radio Show Podcast on August 14, 2015 by Rick. We talk with two officials from Cobra Electronics. We also review the Cobra MR-F77 Class-D Fixed Mount Marine Radio with GPS. We talk with Chris Kooistra and Kent Newman from Cobra Electronics. They will tell us what sets Cobra apart from the competition, talk about some of their current products and find out where they think the GMRS two way radio is headed. We review the Cobra MR-F77 Class-D Fixed Mount Marine Radio with GPS. This entry was posted in Two Way Radio Show Podcast on July 3, 2015 by Rick. We tell you about two new low cost digital two way radios from Tytera. We also review the Nagoya RB-CLP Antenna Window Clip Mount. Today we tell you about the new Tytera MD-280 and MD-380 DMR Digital Two Way Radios. We'll give you an overview of their features and specifications and compare them to some of the other DMR radios on the market in terms of overall cost. Watch our Tytera MD-380 Digital Radio Unboxing video! We review the Nagoya RB-CLP Antenna Window Clip Mount. This entry was posted in Two Way Radio Show Podcast on June 19, 2015 by Rick. We tell you about the decision of the FCC to eliminate the GMRS and amateur radio vanity call sign regulatory fees. We also review the XLT SE445 2 Wire Surveillance Earpiece with Push-To-Talk and Smart Phone Connect. We discuss the decision of the FCC to eliminate the GMRS and amateur radio vanity call sign regulatory fees. We'll find out why they did it and speculate about what this could mean in the long term for GMRS licensees and ham radio operators. For more information read the FCC-15-59A1 - Notice of Proposed Rulemaking, Report and Order, and Order. We review the XLT SE445 2 Wire Surveillance Earpiece with PTT and Smart Phone Connect. This entry was posted in Two Way Radio Show Podcast on May 29, 2015 by Rick. We tell you about a new desktop dual band base station from Klein Electronics that looks oddly familiar. We also review the AlertTech EA-200 Series call boxes. We talk about the Blackbox Base Station from Klein Electronics, which looks very similar to a very popular and low cost Baofeng handheld transceiver. We'll give you an overview of its features and specifications and reveal the retail price. It may not be what you expect. We review the AlertTech EA-200 Easy Assist 200 Call Box. This entry was posted in Two Way Radio Show Podcast on May 18, 2015 by Rick. We tell you about an exciting new multi-band two way radio from Wouxun. We also review the new Vertex Standard VX-260 Series radios. Today we tell you about the new Wouxun KG-UV9D Multi-Band Two Way Radio. We'll give you an overview of its features and specifications and compare its overall look and feel to the popular Wouxun KG-UV8D. We review the new Vertex Standard VX-260 Series Portable Two Way Radios, the Vertex VX-261 and the Vertex VX-264. This entry was posted in Two Way Radio Show Podcast on April 24, 2015 by Rick. 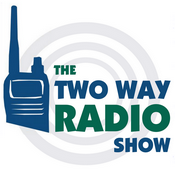 We introduce you to the world of digital two way radios. We also review the Vertex Standard eVerge EVX-530 Series Radios. We discuss the differences between digital and analog radios, the different types of digital standards available, and how you can comfortably migrate from analog to digital radios without a lot of cost and confusion. We review the Vertex Standard eVerge EVX-530 Series Radios. This entry was posted in Two Way Radio Show Podcast on April 6, 2015 by Rick. We tell you about some new two way radios from Cobra for 2015. We also review the Cobra 29 LX HD LE Harley Davidson CB Radio. We talk about a few new radios from Cobra. We'll give you the specs on the new CXT645 consumer FRS/GMRS radio, introduce their new VHF marine radios and tell you when we expect them to be available. We review the Cobra 29 LX HD LE Harley Davidson CB Radio. This entry was posted in Two Way Radio Show Podcast on March 23, 2015 by Rick. We tell you about an exciting new micro mobile GMRS radio coming soon from Midland. We also review the Wouxun KG-B55 Dual Band Amateur Base Station. We talk about the new Midland MXT100 Micro Mobile GMRS Radio. We'll give you an overview of its features and specifications, its compatibility with other GMRS radios and its potential benefits to users of the General Mobile Radio Service. We review the Wouxun KG-B55 Dual Band 2m/440 Base Station. This entry was posted in Two Way Radio Show Podcast on February 16, 2015 by Rick.